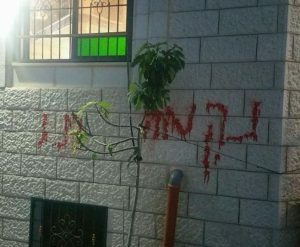 Several extremist Israeli colonizers infiltrated, on Friday at dawn, into Aqraba Palestinian town, south of the northern West Bank city of Nablus, before defacing and attempting to burn a local mosque. 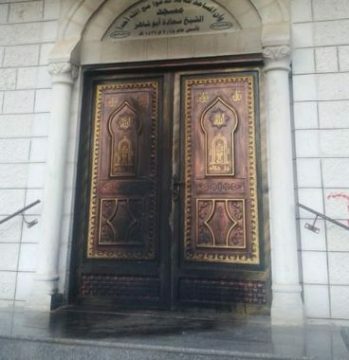 Media sources in Nablus said the colonizers wrote racist graffiti, and poured gasoline on the main doors, and other parts of the holy site, and set it ablaze. Locals and firefighters rushed to extinguish the fire before it spread all over the holy site. 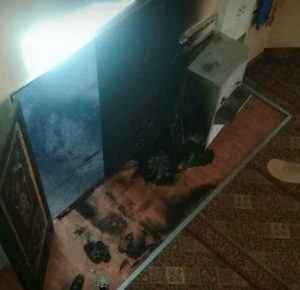 It is worth mentioning that in various previous incidents, the fanatics burned and defaced many mosques and churches in occupied Palestine, in addition to defacing graves. 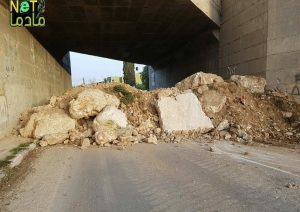 In related news, the soldiers closed with sand hills the main entrance of Madama village, south of Nablus.